Long before there were blogs and wedding websites there were bridal shows. They go under a lot of different names "bridal expo," "bridal fair," "bridal show," "wedding show." But they all have the same basic idea, you go to one location and meet a lot of wedding vendors and other people interested in talking to the recently engaged. 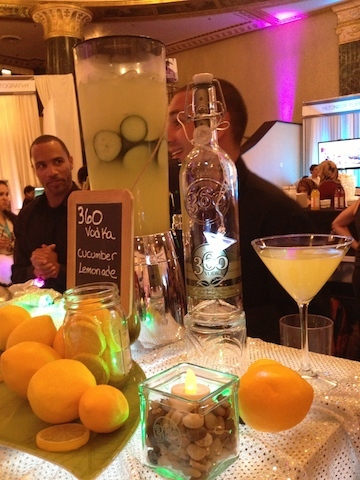 Here are some questions to ask yourself before deciding if a bridal show is a good idea for you? Are you getting married near where you live? (If yes, keep going, if no, unless you can get to a show near your location, or you just want to look and get ideas, a bridal show probably won't help you much since most of the vendors will be somewhat local). Although you can still find the large, bridal expos of the past, today's shows tend to be smaller and more specialized. For example, IndieWed features small independent businesses and is targeted at couples who are a little more alternative. Last night, I attended Wedding Salon in Chicago. The $75 price tag and show's location at an upscale hotel make it pretty clear that the show is targeted at a bride with a certain budget. You wouldn't expect to see a booth from David's Bridal at either Wedding Salon or IndieWed. A lot of gay couples prefer attending bridal shows aimed specifically at gay couples, it's a way for them to know that every vendor they encounter will be gay-friendly. Pay attention to who is sponsoring the show, and how much the ticket price is. There are frequently ways to get around that ticket price, vendors and stores may have free tickets, registering early may get you a free ticket, etc. but the price itself is still important because it tells you the type of couple the show is aiming to attract. The sponsor is important because that too will give you a clue about the types of vendors. If the show is being sponsored by an oldies radio station, they're probably aiming for an older clientele. Some people go to bridal shows to get ideas for table settings, decor, etc. Others go to meet vendors. Some shows have fashion shows and other events as part of the show. Before signing up for a bridal show make sure you know who will be exhibiting at the show. Bridal Show Expo is a huge show and you can find a list of their anticipated vendors on their site. Check any site's vendor list before going. The bridal show I most recently went to was heavy on honeymoon and other luxury items, but pretty low on actual vendors. 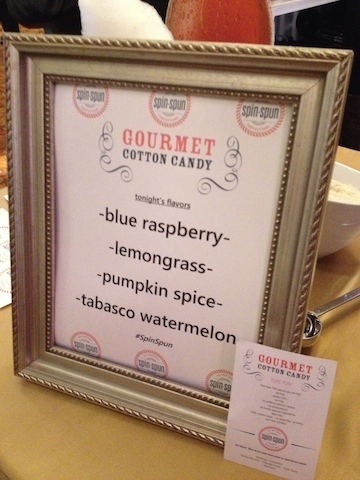 I got to eat lemongrass flavored cotton candy, but if I'd been looking for a wedding band, I'd have been out of luck. Still going? Great! Here are some tips for your time there. Wear flats! There's a lot of walking. If you plan on tryng on dresses, make sure to wear leggings or yoga pants and a tank top under your clothes so that you can easily try a dress on over your clothes. Also, don't forget you'll be eating cake, so you know, eating clothes. On the other hand, there will be A LOT of photo booths, you can't avoid them all so put on a little make up. Don't go alone! Bring a friend, mother, or yes, even your groom. Having more than one person there will keep you from making rash decisions, help you gather info, and greatly increase your people-watching pleasure! Get a new email! If you haven't already created an email account just for wedding stuff, this is the time to do it. If you have a little time, consider printing off some stickers with your wedding date and email address. You can stick them on all the forms you'll be asked to fill out. Don't just fill out forms willy-nilly though, remember every time you give someone your contact info at the show, you're giving them permission to email you. Bring a tote bag! Most wedding shows will actually have a vendor or two with a canvas bag, but just in case, bring your own.